His appearances include “The Chew” on ABC, “Regis & Kelly” on ABC, “Rachel Ray”, “The Travel Channel“, “ The Food Channel Network”, “The Real House Wife’s from Orange County”, “Good Morning America”, and “Bizarre Foods” with Andrew Zimmern. 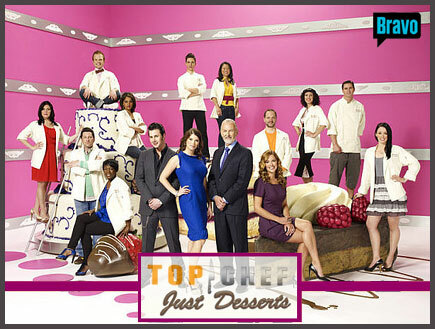 Chef Keller’s own cooking show, Secrets of a Chef, airs on PBS and is currently in Season 4. Filming Season 5 has started in October 2015, where Hubert Keller is visiting, cities like Rio de Janeiro, Paris, Honolulu, Cuba, Las Vegas and San Francisco. From Marjorie Poore Productions comes Hubert Keller: Secrets of a Chef, an exciting cooking series featuring one of America’s top celebrities in the cooking world: star chef Hubert Keller. 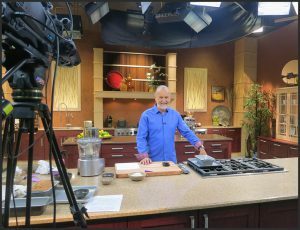 His extraordinary on-air charisma and charm is matched only by the mouth-watering recipes that keeps viewers salivating and coming back for more, week after week. Click here for more information from PBS Food including checking your local listings for showtimes. Link To Bravo website for Bios, Showtimes and more! 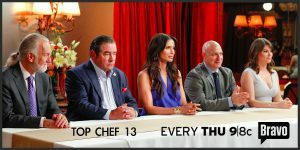 Watch Chef Hubert Keller as he judges on Bravo’s Top Chef.